Sudsakorn is a curious young man, raised in the ancient traditions of magic by his mystical grandfather. He never knew his farther. His mother, a beautiful mermaid is pained by his sadness, so sends him on a quest to find his father. Armed with his grandfather's magical weaponry Sudsakorn sets off into the mysterious world of yore on his trusty steed, Ma Nin Mangkorn, a half dragon , half horse. What starts as a simple quest soon turns into an amazing adventure, Sudsakorn encounters a heinous and deadly creature, and must use his magical powers to defeat the foul beast, and continue his journey. The display of power doesn't go unnoticed and Sudsakorn is persuaded to fight monsters and demons by the king of an ancient city. With his new found mission to protect the innocent, but can Sudsakorn 's power last, or will the forces of evil defeat him before he finds his father? 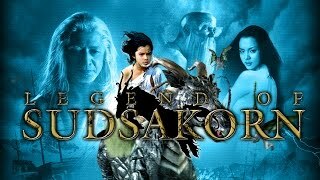 Sudsakorn must fight to stay alive before be too falls victim the treachery of the ancient world.